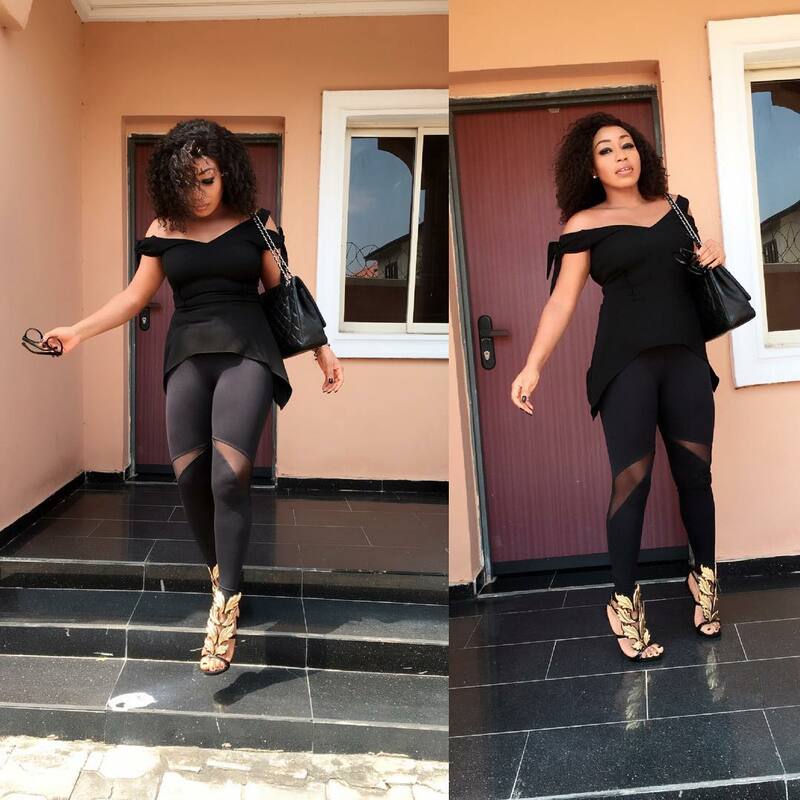 Glowy: Rita Dominic in Giuseppe Zanotti Suede Goldtone Wing Sandals. 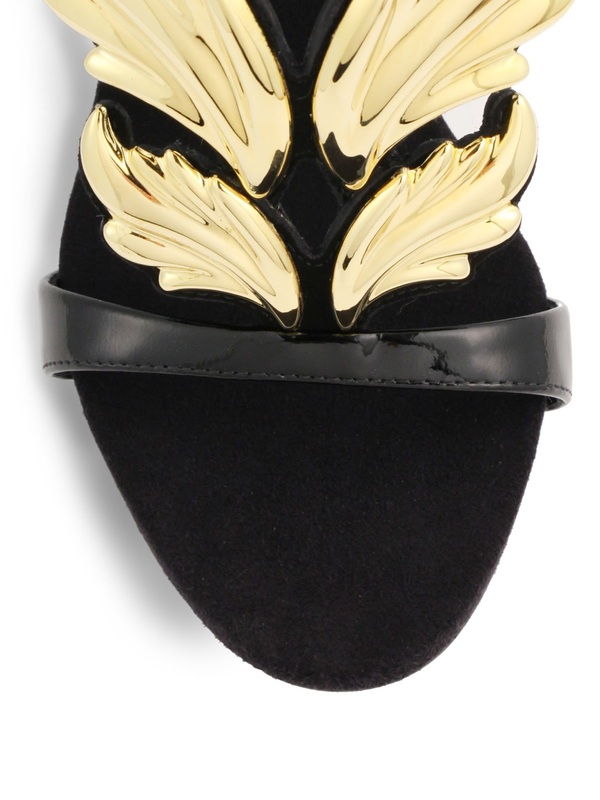 Rita Dominic in Giuseppe Zanotti Suede Goldtone Wing Sandals. Rita Dominic is one stunning mama and its been a while we talked about her style on this blog. She was seen stepping out of her home donning an all black outfit which consisted of a black off shoulder top on a black leggings with mesh inset and a Giuseppe Zanotti Suede Goldtone Wing Sandals to finish. 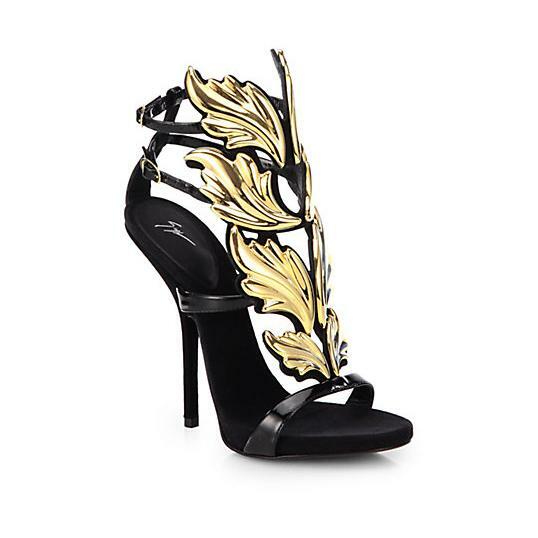 The shoe features a black patent and metal upper, Round and open toe, dual patent ankle straps, Suede lining and a Self-covered heel, 5" (125mm). We've seen this shoe on Ini Edo and Linda Ikeji.